TB 1211 is recommended for sealing engine cases, gasket surfaces, exhaust flanges, intake manifolds, etc. 1211 is effective over a wide temperature range, -76 to 482 degrees. The free-flowing low viscosity silicone rubber is tack free in 90 minutes and cures in 24 hours. Fuel, oil and chemical resistant, this is an excellent choice to cure problem air leaks with intake manifolds, head gaskets, crankshaft seals,etc. 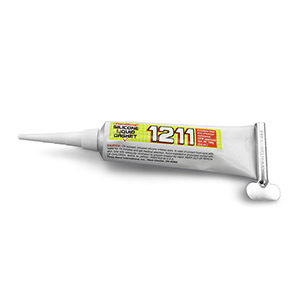 TB 1211 is used by many OEM manufacturers, and it the sealant preferred by most professional engine builders.